CHARLOTTE, NC / ACCESSWIRE / January 17, 2018 / Chanticleer Holdings, Inc. (NASDAQ: BURG) (”Chanticleer” or the ”Company”), owner, operator, and franchisor of multiple nationally recognized restaurant brands in the U.S. and abroad, today announced that it has received permits to begin construction on its new Lake Oswego and Multnomah Oregon locations. Little Big Burger (”LBB”) is a wholly-owned subsidiary of Chanticleer Holdings, Inc. 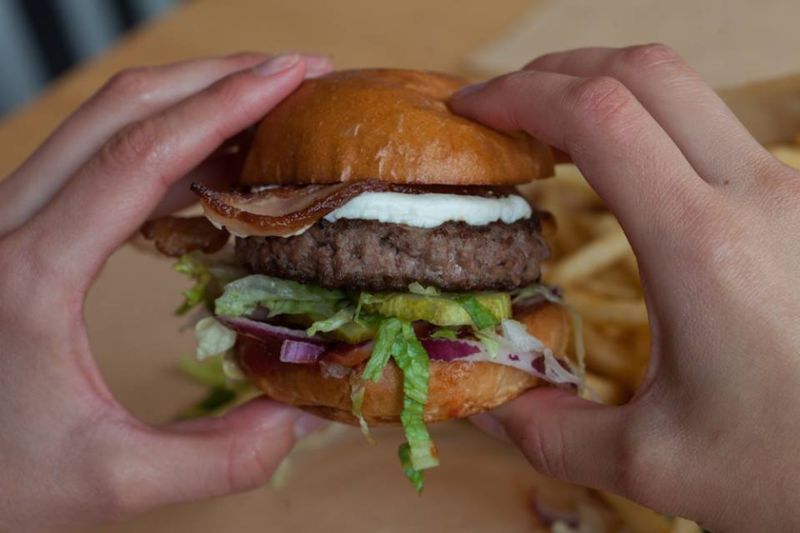 Founded in Portland, OR in 2010, LBB is a counter service, fast-casual restaurant concept offering fresh, high quality cooked-to-order burgers, truffle fires and root beer floats. LBB has developed a cult-like following in the Pacific Northwest by offering a simple menu focused on delicious quality, served in a hip atmosphere. LBB now has 12 locations – 11 in the State of Oregon and one in Charlotte, NC. The Company expects new locations to open soon in Portland, San Diego, Seattle and Austin. Parties interested in franchise opportunities should send an email to mp@chanticleerholdings.com. Headquartered in Charlotte, NC, Chanticleer Holdings (BURG), owns, operates, and franchises fast, casual, and full-service restaurant brands, including American Burger Company, BGR – Burgers Grilled Right, Little Big Burger, Just Fresh, and Hooters. Any statements that are not historical facts contained in this release are ”forward-looking statements” as that term is defined under the Private Securities Litigation Reform Act of 1995 (PSLRA), which statements may be identified by words such as ”expects,” ”plans,” ”projects,” ”will,” ”may,” ”anticipates,” ”believes,” ”should,” ”intends,” ”estimates,” and other words of similar meaning. Such forward-looking statements are based on current expectations, involve known and unknown risks, a reliance on third parties for information, transactions or orders that may be cancelled, and other factors that may cause our actual results, performance or achievements, or developments in our industry, to differ materially from the anticipated results, performance or achievements expressed or implied by such forward-looking statements. Factors that could cause actual results to differ materially from anticipated results include risks and uncertainties related to the fluctuation of global economic conditions, the performance of management and our employees, our ability to obtain financing or required licenses, competition, general economic conditions and other factors that are detailed in our periodic reports and on documents we file from time to time with the Securities and Exchange Commission. The forward-looking statements contained in this press release speak only as of the date the statements were made, and the companies do not undertake any obligation to update forward-looking statements. We intend that all forward-looking statements be subject to the safe-harbor provisions of the PSLRA.